Closing Grupo Especial's parade in style, the school from Nilópolis will enter the Avenida with a samba enredo about Mary Shelley's novel "Frankenstein". RIO DE JANEIRO, BRAZIL – On Monday, February 12th, Beija-Flor samba school will be the final school to parade at the Sambódromo in Carnival 2018. Expected to parade at 2:40 AM (already on Tuesday), Beija-Flor aim to enthrall audiences with their samba enredo (theme), inspired by the classic novel “Frankenstein”. Last samba school to enter the Sambódromo, Beija-Flor is one of the most popular samba schools among Carnival lovers, photo by Raphael David/Riotur. Eight-time winner of Grupo Especial (Special Group) championship, Beija-Flor is certainly one of the most popular samba schools among Cariocas, Brazilians and even foreigners – the school currently even performs abroad. 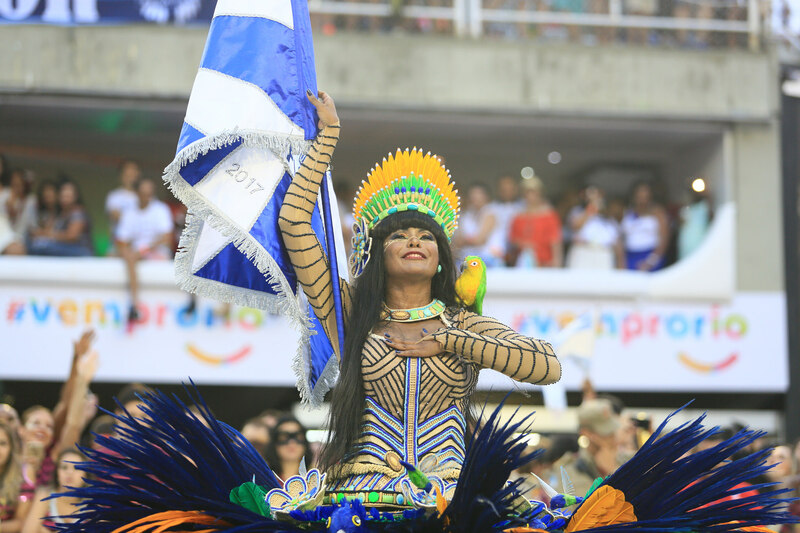 Its first title in Carnival’s premier league was won in 1998, with a samba on the Indigenous religious culture of the Marajó Island (Pará, Brazil’s North), while Beija-Flor’s most recent victory happened in 2015, when it payed tribute to Equatorial Guinea. 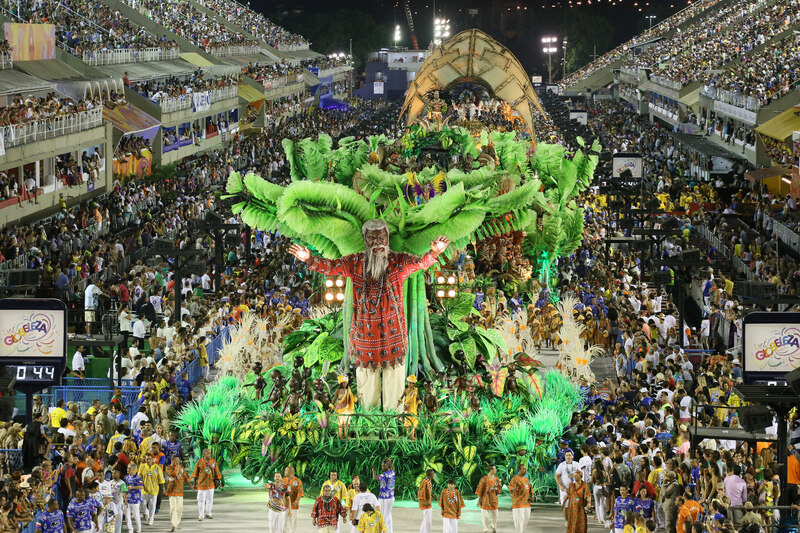 Originally established as a Carnival bloco, in 1948, Beija-Flor officially became a samba school in 1953. Representing the municipality of Nilópolis, located in Baixada Fluminense, the school was the big winner of Grupo I already in its debut year on the Avenida. Highly respected in the Carnival universe, Beija-Flor was already the theme of São Paulo’s samba school Acadêmicos de Tatuapé, which, in 2016, paraded with the samba enredo “É ela, a Deusa da Passarela. Olha a Beija-Flor aí gente!” (It’s her, the Goddess of the Avenida. Beija-Flor is in the house, folks!). The title alludes to the Neguinho da Beija-Flor, main singer of the samba school for 42 years now. Represented by a white-and-blue flag, with a hummingbird in its center, Beija-Flor is also renowned for its former carnavalesco Joãozinho Trinta, responsible for some of the most stunning parades of Carnival’s history. After paying tribute to Equatorial Guinea in 2015, Beija-Flor enters the Avenida this year with a samba enredo on Mary Shelley’s “Frankenstein”, photo by Gabriel Santos/Riotur. What’s more, Trinta was also known for having presented controversial themes on the Avenida, like the remarkable “Ratos e Urubus, Larguem a Minha Fantasia” (Rats and vultures, get off of my costume), from 1989, on the poverty of Brazilian people. This Carnival, Beija-Flor is ready to amaze the audience with “Monstro é aquele que não sabe amar. Os filhos abandonados da pátria que os pariu”, samba enredo inspired by “Frankenstein”, classic novel written by British author Mary Shelley. Composed by Di Menor BF, Kiraizinho, Diego Oliveira, Bakaninha Beija Flor, JJ Santos, Julio Assis and Diogo Rosa, the samba celebrates the 200th anniversary of the novel’s release and aims to show that, like Frankenstein’s monster, samba music has always been marginalized. According to Beija-Flor’s representatives, the school also intends to provoke a deeper reflection on Brazil’s social exclusion, proposing an analogy between Frankenstein’s marginalized monster and the “invisible groups” in the Brazilian society. “Who are our Doctors Frankenstein? Who are our abandoned creatures? Why are they abandoned? Because of prejudice, corruption, greed? Where are our abandoned children? Selling candies at the traffic lights? Dying on the hospital lines?,” provokes Cid Carvalho, one of Beija-Flor’s carnavalescos. Those interested in participating in Carnival 2018 still have the opportunity to walk on the Sambódromo with Beija-Flor samba school. In order to purchase a costume, click here to access Beija-Flor’s official website. Be sure to stay with The Rio Times to learn more about the other competing schools, winners and additional events during this year’s Carnival. Oi Beatriz: Terrific articles about the samba schools. Congratulations on the excellent reporting. Could you provide a schedule of the parades of the different groups and which cable-TV systems that will carry the activities? Many thanks for your efforts to keep us linked to the “cidade maravilhosa!” Obrigado! Hello, Martin. Glad you are feeling the Carnival mood with The Rio Times. You can follow the announcement of Grupo Especial’s 2018 champion this Wednesday (February 14th) at Rede Globo or online at https://globoplay.globo.com/.